Sleep Disorders - General Practice: The Integrative Approach. There are many types of sleep disorders, with different aetiologies, presentations and treatments. Generally, sleep disorders can be classified into one of four groups: hypersomnias, parasomnias, insomnia and sleep–wake schedule disorders. Some sleep disorders need to be referred to a specialised sleep disorders clinic for diagnosis and treatment. Other sleep problems can be diagnosed and managed within general practice and will be emphasised in this chapter. In the first part of this chapter we provide a brief introduction to the sleep process. 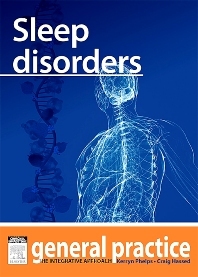 In the second part, we outline sleep disorders such as obstructive sleep apnoea, narcolepsy and sleep-related movement disorders, bruxism and the parasomnias, which require referral to a specialised sleep centre. In the final part we describe the diagnosis and management of the more common but heterogenous sleep disorders of insomnia and sleep–wake schedule disorders.